Our ideal instructor is passionate about our mission, dedicated to sharing their craft and/or artform, student and experience oriented, and has a strong sense of responsibility. We continuously seek instructors in all sorts of creative and practical arts with our current focus on these 3 categories: performance-based arts, beauty-oriented arts, and ESPECIALLY the healing arts. As an emergent organization, we pay our instructors on a contract basis and have lots of volunteer opportunities throughout the year that we share with our instructors. We also help our instructors throughout their whole time with us for any additional skills they'd like to acquire and of which we could fulfill. We also offer unlimited feedback. Contractors are responsible for the purchase and payment of their own supplies and materials for their particular class. Seeds Center also offers additional supplies that all instructors have access to for class as well. A test class is required as part of the interview process. Besides any classes you would normally do, Seeds Center offers the opportunity to teach during our inter-generational program every Fall too. This is a paid position even though we do not charge any of our students in this program at all. To learn more, please email charlotte@seedscenter.org with your inquiry. 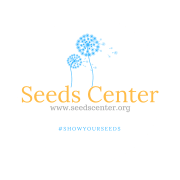 Seeds Center, NFP is 501c3 not-for-profit organization. Seeds Center brings people together and pioneers new community enriching programs to rethink gaps in traditionally structured learning, both on the instructors' side and for that of the student. Seeds Center hopes to work as a supporting figure in the current frameworks of traditionally structured learning creating valuable new programs filling specific needs but not to replace existing institutions. We believe that through the power of learning together - we can create unimaginable beauty.